The UCA MBA program is a thirty hour program with a core curriculum of seven classes plus three electives. The program has areas of concentration in Finance and Health Care Administration. To be considered for admission at UCS, students must submit a minimum GMAT score of 500 and a minimum undergraduate GPA of 2.7, or a 3.0 in the last sixty hours. Along with their application, students must submit a personal essay, two letters of recommendation, and a current resume. Last year's entering class had an average GMAT score of 552 and an...To be considered for admission at UCS, students must submit a minimum GMAT score of 500 and a minimum undergraduate GPA of 2.7, or a 3.0 in the last sixty hours. Along with their application, students must submit a personal essay, two letters of recommendation, and a current resume. Last year's entering class had an average GMAT score of 552 and an average undergraduate GPA of 3.15. International students must have a TOEFL score of 550 on the paper version or 213 on the computerized version. The “affordable, quality education” offered here attracts a large part-time population of students who already have professional jobs, and the College of Business doesn’t dedi­cate many resources to career planning and placement and seems content with remain­ing just “a great regional school.” However, business students can use the UCA Career Services office, which offers resume writing assistance, campus interviews, current job listings, career fairs, and workshops for job seekers. Even so, those who’d like to start a new career after graduation say the business school could do more to “help with job placement and recruitment.” After graduation, UCA students can keep networking with other alumni through the MBA Alumni Association. 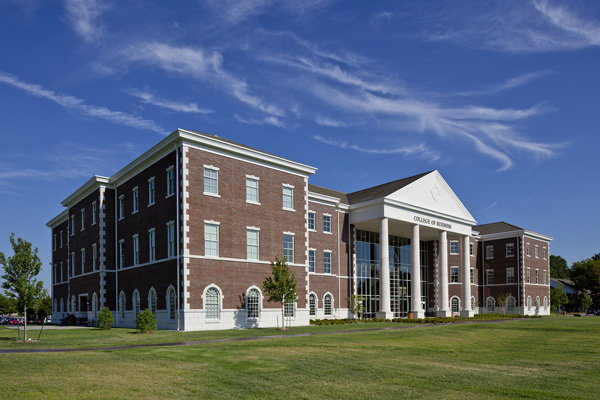 University of Central Arkansas operates two graduate business programs, including full-time and part-time MBA programs and a master of accountancy with an optional empha­sis on international business. One testament to the quality of education at University of Central Arkansas (UCA), which one student refers to as a “research institute,” is that many undergraduate students choose to return to the University for a graduate degree, directly out of college or many years later. A current student writes, “I attended UCA for my undergrad degree, and it is such a good fit for me that it was an easy decision to stay.” Before students can begin the MBA program at UCA, they must complete prerequisite coursework in accounting, economics, and finance. After they have completed the pre­requisites, the MBA program consists of ten business courses. Students also have the option of pursuing an international specialization through an additional six credit hours in an approved elective or internship experiences related to international business. Focused on advanced general management principles, the MBA coursework is quite tra­ditional, and some would like to see “more (as in any) online classes.” In response, UCA is currently developing new online course work for 2012. A number of students say they’d like a more interactive business school experience and more “team-building skills/training.” “I would like to see classroom materials tied to the real-world work experience through classroom discussions, applying the material or past occurrences of classmates or the professor. It would give me a better understanding of where and how the material is applicable,” says a student. When it comes to the teaching staff, student opinions are that they are “very good for the most part;” a current student assures us that most are “intelligent individuals whose diverse perspectives give me a well-rounded view of course materials.” With an entering class of about 20 students each year, class sizes are small, and the “professional, excellent, and personable” instructors generally encourage students to add their personal experi­ences to academic material and “emphasize presentation skills.” It follows that the pro­fessors are “great resources” and “open to helping students in any way they can, whether it’s tutoring on difficult homework concepts or getting the student’s foot in the door at a hiring corporation.” UCA is rapidly expanding its offerings and campus facilities, a common response from an administration that is “willing to work with the students on any type of problem.” The College of Business is likewise on the up-and-up. A student writes, “The administration is in a transition to make the College of Business one of the best in the state. The transi­tion is not complete, but it is well on its way.” Case in point, a new business school build­ing, including state-of-the-art case study classrooms, a student commons, a graduate stu­dent lounge with lockers, and a professional conference room opened in January 2010. Want more info about University of Central Arkansas College of Business Administration Part Time MBA? Get free advice from education experts and Noodle community members.